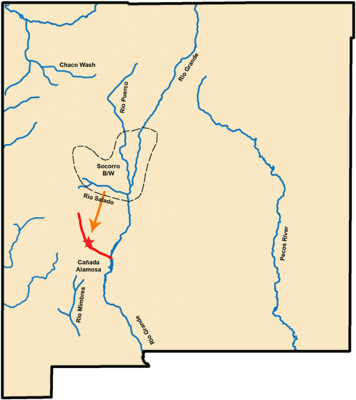 After a severe drought in the early 1100s, the Mimbres people already living in the canyon were joined by groups from the north. 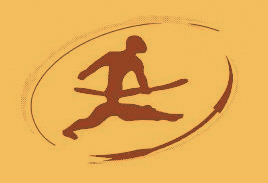 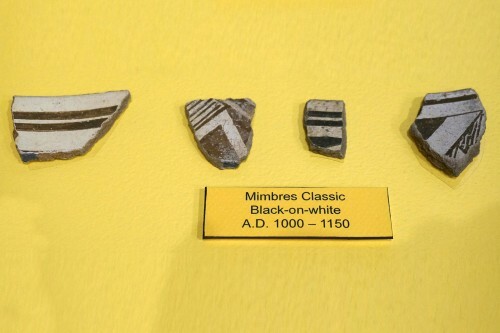 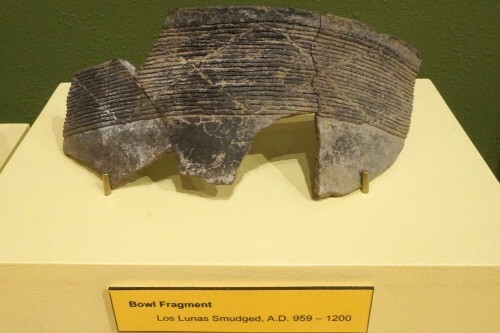 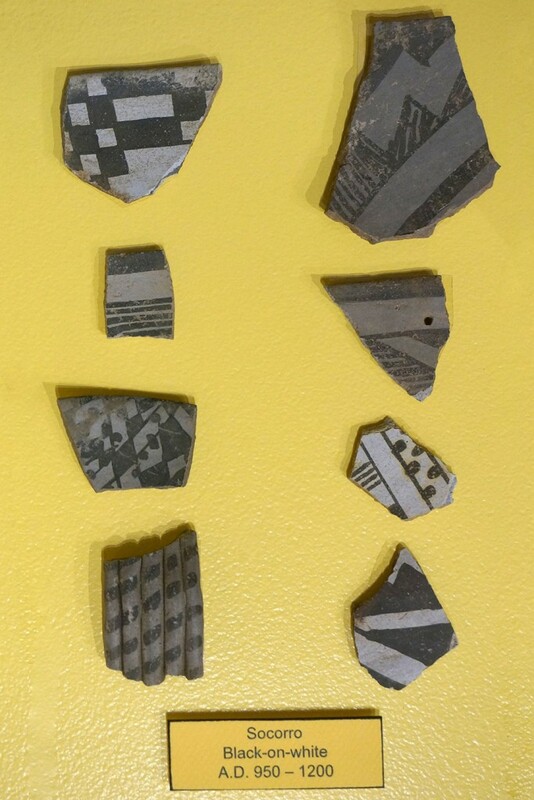 Attracted by the permanent water of the Alamosa, the new comers brought with them different styles of pottery that included Socorro Black-on-white and two utility wares – Los Lunas Smudged and Pitoche Rubbed Ribbed. 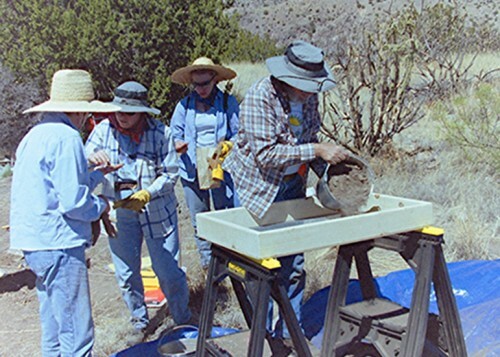 Traveling as a small community they brought their style of architecture which featured a linear masonry pueblo and an associated kiva. This kiva is an underground room, quadrilateral in shape with a ventilator, and was used for religious and social functions. 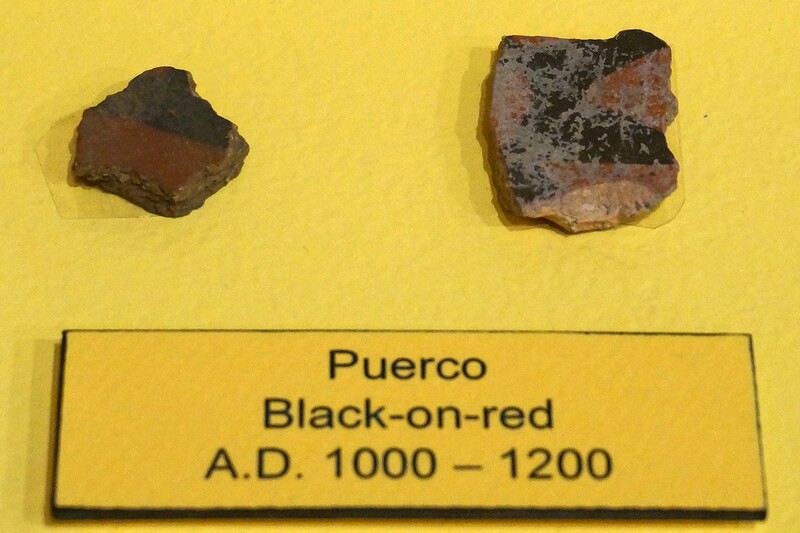 The pueblo’s linear configuration and associated kiva are identical to sites found 60 to 100 miles north in the Ancestral Pueblo heartland at the time of the rise of the Chaco Canyon as a regional center. 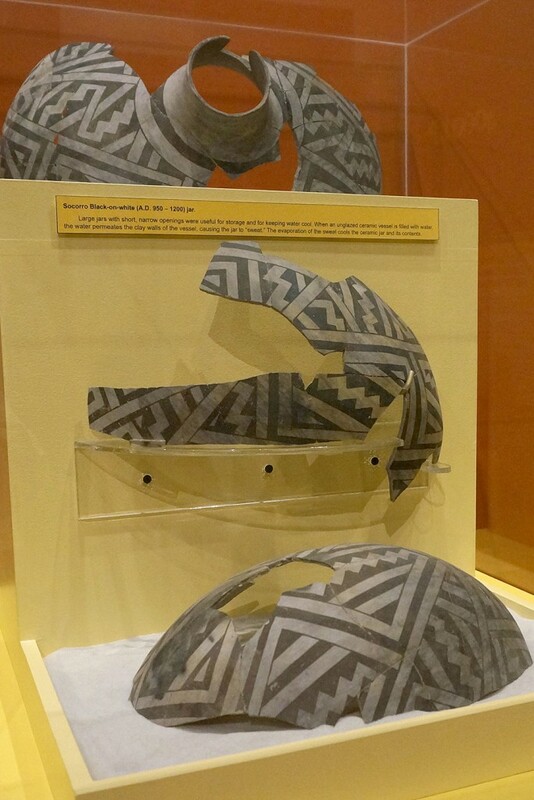 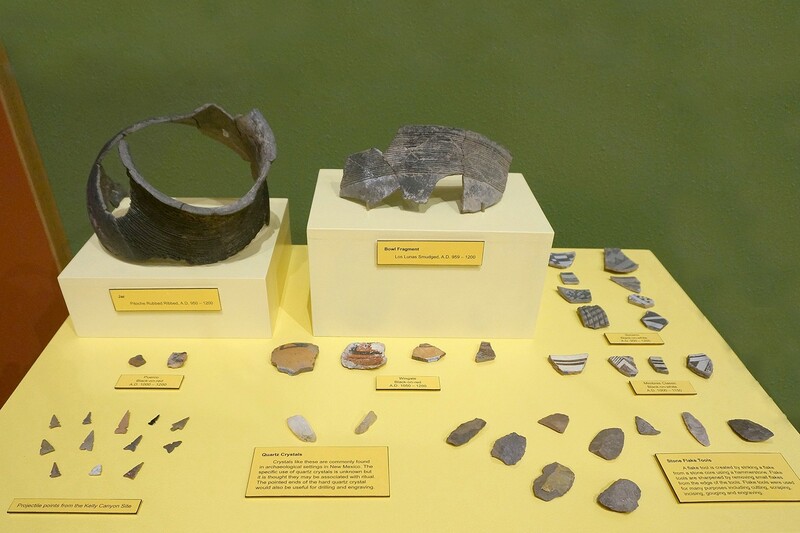 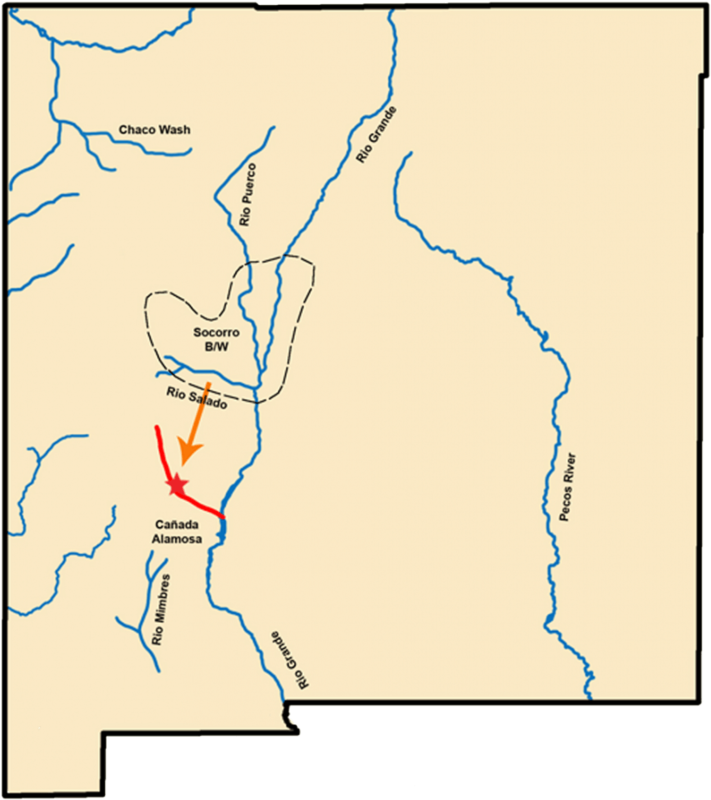 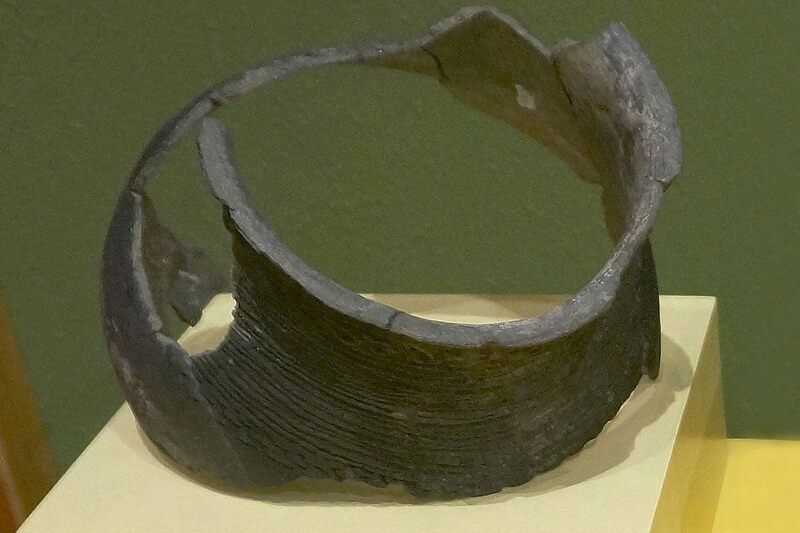 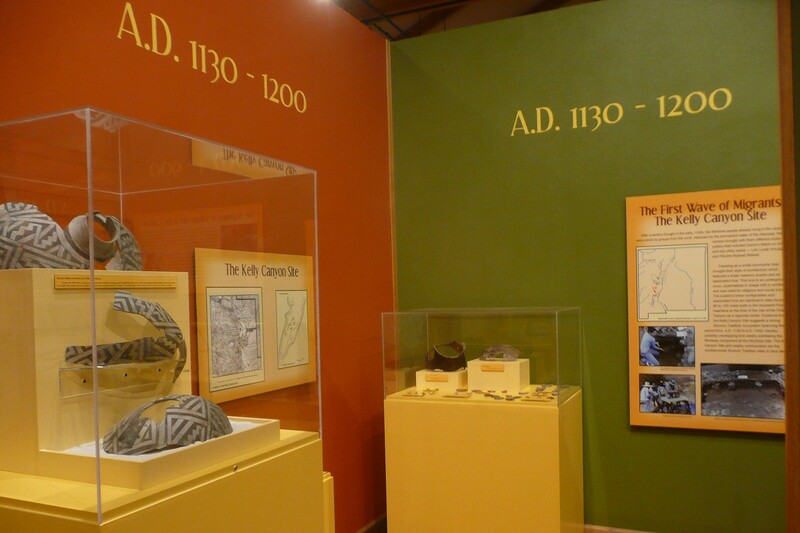 Evidence from the Kelly Canyon Site suggests a strong Socorro Tradition occupation spanning the period from A.D. 1130 to A.D. 1200, thereby possibly overlapping and clearly postdating the Mimbres component at the Montoya Site. 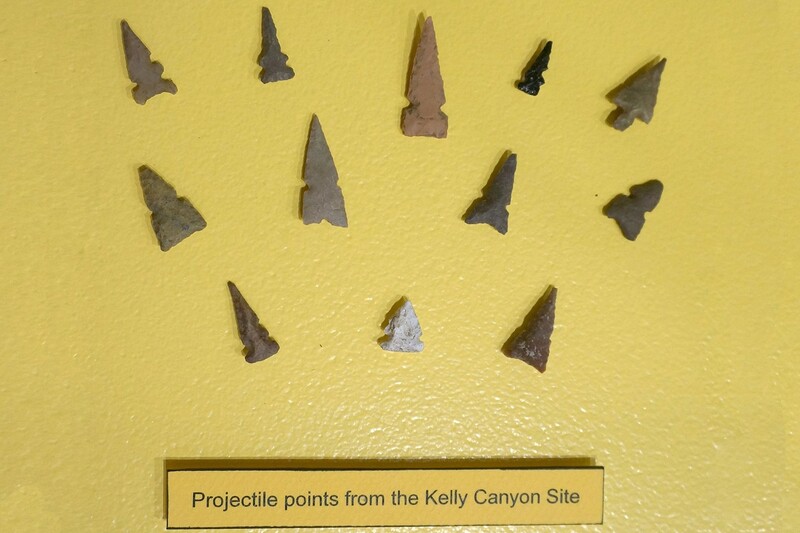 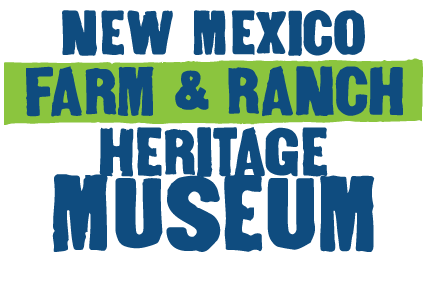 The Kelly Canyon Site and nearby communities are the southernmost Socorro Tradition sites in New Mexico. The shattered remnants of a Pitoche Rubbed Ribbed jar on the floor of Feature 3. Screening fill at the Kelly Canyon Site. 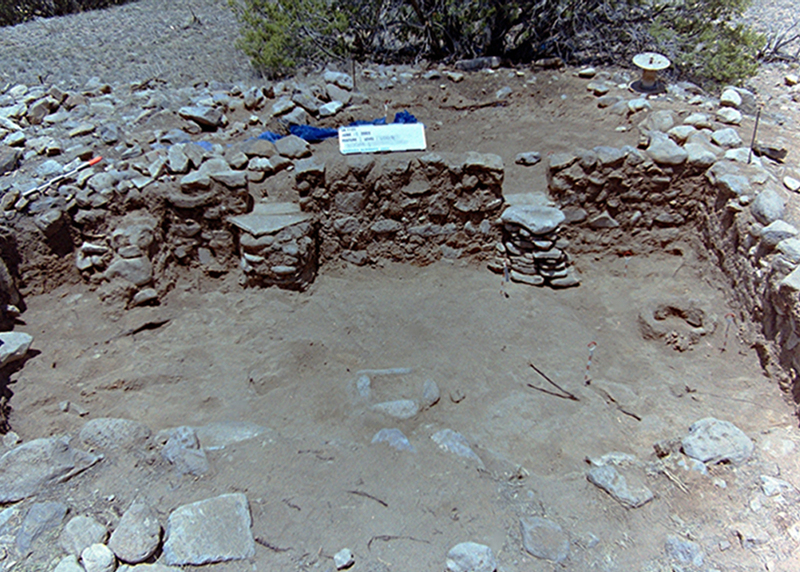 Feature 3 included a large living area and two storage rooms connected by small doorways.